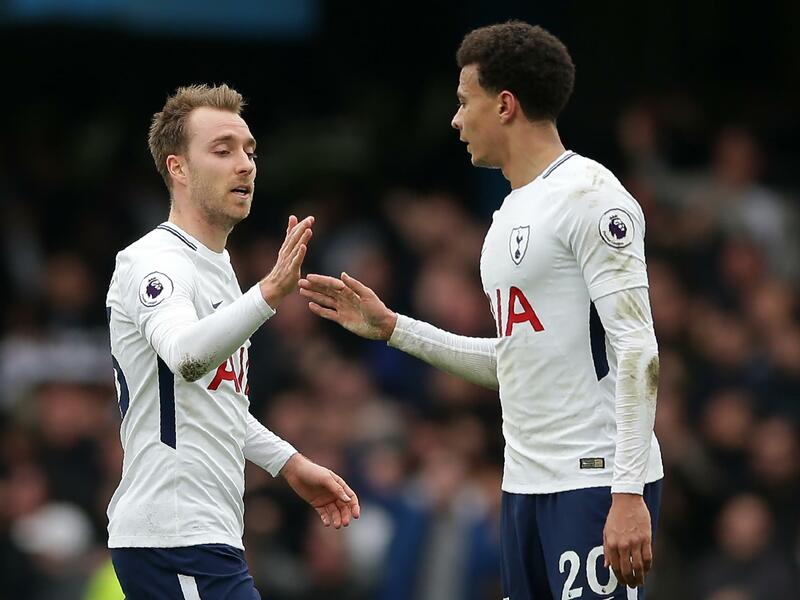 Tottenham Hotspur manager Mauricio Pochettino has revealed he is considering resting Christian Eriksen and Dele Alli at Crystal Palace on Saturday due to concerns over their ability to play for both club and country. The pair have been included in international squads for Denmark and England respectively but Pochettino is keen not to overload them in the wake of 90 minutes for Spurs against PSV Eindhoven on Tuesday. “We will see on Saturday, it was a tough game against PSV in the Champions League,” he said. “Then they are going to move to the national team I think. It will be tough to play two games. Made a great save late in the second half to keep Tottenham on level terms and allow Harry Kane to score the winner. Worked hard in defence to clear the ball and provided options going forward form Tottenham. Solid at the back and had a couple of chances to score but his headers were blocked. De Jong beat him to the header for PSV’s goal, but he wasn’t the main cause of the goal. He responded well and supplied the front men with accurate through balls. Made some strong challenges at the back and like Aurier combined well on the wing to move Tottenham forward, delivered the cross that allowed Kane to score the winner. Workmanlike in mid-field, did his job well but didn’t strike the world alight. Got into some good positions to create chance and had a fantastic chance to give Spurs an equaliser but it was saved by Zoet. By far the most threatening player for Spurs. He ran at the PSV defenders and beat them on numerous occasions, was just missing a goal. Let De Jong get past him on the corner that led to the goal, should have done better. In front of goal he had a couple of great chances that he just didn’t put away. Like Moura he always caused enough problems for PSV that they put at least two men on him, limiting his impact on the game. Took a few long-range shots that troubled the goalkeeper in the first half but finished it off in the second with the equaliser and then headed home the winner. It is the latest midfield dilemma for Pochettino on the back of the news that Mousa Dembele is now out until 2019 with right ankle ligament damage sustained at Wolverhampton Wanderers on Saturday. “We hope that from the beginning of January he will be ready,” said Pochettino. “After it’s about the evolution, it’s very dynamic the evolution and how he’s going to recover. “It’s a massive effort for the players. That is why I am so pleased. In the same way I want to say some nice words to the staff, because they are helping the players to be ready in every single game. They work a lot and they don’t have rest. That is important have nice words for them. “Of course I think we have some players back like Eric Dier and Victor Wanyama, they’ve started training with the group and we’ll see tomorrow if they can be available to be in the squad for Saturday. Tottenham still have concerns over left back Danny Rose with Pochettino revealing his groin problem will take a little while longer to settle down. “I saw him this morning, I asked for his perfume because he has very good perfume,” he joked. “It is good. He has very good taste about picking different perfume. We share taste. Pochettino again insisted he was committed to Tottenham despite a continued link with the Real Madrid manager’s position. “Look I’m so focused on my job at Tottenham,” he said. “Rumours appear every day. Some day it’s the rumour you tell me now. Another is the opposite. “Many things happen. The most important thing that the people need to know is I’m focused on Tottenham. I’m so responsible with my job.